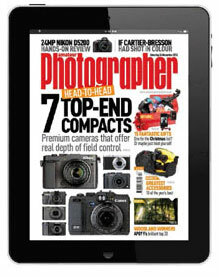 With Zinio, you now can read the latest magazines online for free and keep them for as long as you like. To find out more about this new eMagazine collection, don’t miss the Zinio Expo happening 24-28 June at 1:00-2:00pm on Central library’s ground floor. With Zinio, Wellington City Libraries members can borrow as many as they like for free, and keep them as long as they want – with no overdue fees. There’s a wide range of magazines – including photography, business, sports, news, crafts, lifestyle, computers, music, and more. Titles include the Economist, US Weekly, OK Magazine, Australian Vogue, Taste, Rolling Stone, and Utne Reader among many others. 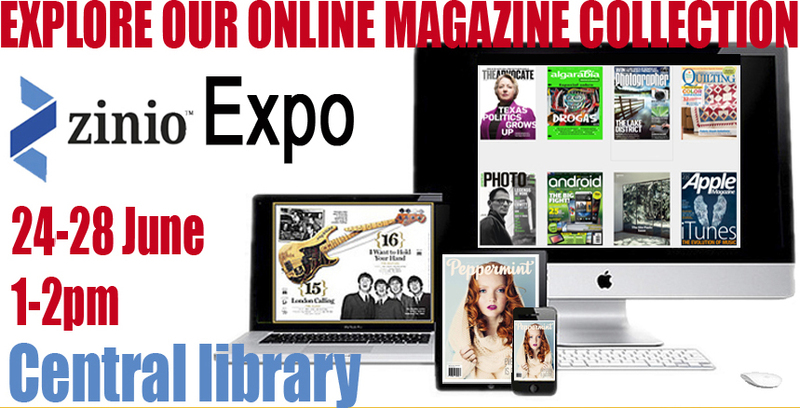 We’d love to see you at the expo, but if you can’t be there, there is more information about how to access and download Zinio eMagazines here, or just ask for help at any of our libraries. Central Library will be closed and some online services will be unavailable on Sunday 4 August. The library will reopen at the usual time, 9.30am, on Monday 5 August. These changes are necessary to complete the relocation of the library management server to the Council’s data centre in Trentham. The move is part of a Council-wide project to ensure our IT infrastructure is in a secure earthquake-strengthened facility. – eBook & eAudiobook borrowing (both Overdrive & Bolinda). The information pages on our website will continue to be available including our blogs, Popular Topics, Māori & Heritage pages, and online storytimes. It will still be possible to browse Bolinda and Overdrive digital offerings and download books already on your bookshelf, but unfortunately the ability to borrow will not be available during this time. We’ve extended the issues period on items that would have become due so you won’t incur overdue fines. Items that are already overdue won’t incur extra fines during the closure. We will be updating this website, Twitter feed and Facebook page to notify when our services are fully available again. We apologise for any impact these changes have to your enjoyment of library services on Sunday. Many thanks for your patience while this work occurs. Parli italiano? Sei appena arrivato a Wellington e vuoi imparare l’inglese senza spendere troppo? Puoi farlo gratis con la tessera delle biblioteche pubbliche di Wellington e il nostro nuovo programma Mango Languages. Imparare l’inglese sarà facilissimo grazie al nostro metodo intuitivo con spiegazioni in italiano. Guarda il video qui sotto per saperne di più. Do you know an Italian speaker who’d like to learn English without spending much money? Let them know about our Mango Languages database which will allow them to practise English in an intuitive manner, at their own pace. Instructions are in Italian and they can even record their own voice and compare it to a native speaker. Also it’s free with a Wellington City Libraries membership card! Give them the link to the video below for more details. Do you know a Chinese Mandarin speaker who’d like to learn English without spending much money? Let them know about our Mango Languages database which will allow them to practise English in an intuitive manner, at their own pace. Instructions are in Mandarin and they can even record their own voice and compare it to a native speaker. Also it’s free with a Wellington City Libraries membership card! Give them the link to the video below for more details. ¿Eres hispanohablante? ¿Eres nuevo en Wellington y te gustaría aprender inglés sin gastar mucho dinero? Puedes hacerlo de forma gratuita con una tarjeta de las Bibliotecas de la Ciudad de Wellington y nuestra nueva base de datos Mango Languages. Aprender inglés se ha convertido en un jugo de niños con este intuitivo método donde las explicaciones e instrucciones están en español. Mira el siguiente video para aprender más. Do you know a Spanish speaker who’d like to learn English without spending much money? Let them know about our Mango Languages database which will allow them to practise English in an intuitive manner, at their own pace. Instructions are in Spanish and they can even record their own voice and compare it to a native speaker. 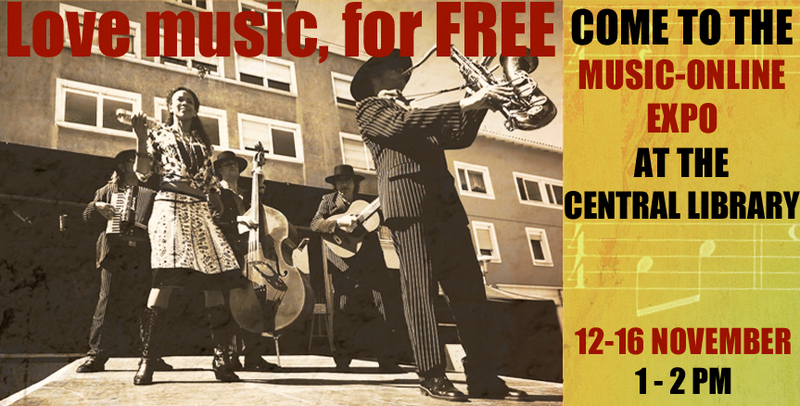 Also it’s free with a Wellington City Libraries membership card! Give them the link to the video below for more details.